The Town of Prosper is a home rule town with a mayor and six council members who are elected at large for three year terms. The Town Council meets on the second and fourth Tuesdays of each month in Prosper Town Hall Council Chambers, located at 200 S. Main Street. The Agenda Briefing begins at 5:45 p.m., with the Regular Meeting beginning immediately afterward, at approximately 6:15 p.m.
All Town Council Meeting Agendas are posted at least 72 hours prior to the meeting in accordance with the Texas Open Meetings Act. Agendas are typically posted on the bulletin board outside Town Hall, as well as the homepage of the Town’s website, by 5:00 p.m. on the Friday prior to each meeting week. Questions regarding agendas and meeting notices should be directed to Robyn Battle, Town Secretary, (972) 569-1011. The public is invited to address the Town Council on any topic; however, the Council is unable to take action on any topic not listed on the agenda. Please fill out a Public Meeting Appearance Card and submit it to the Town Secretary prior to the meeting. Ray was elected mayor in May 2010 and previously served on the Town Council for 3 years. He was appointed in May 2004 to serve as president of the Economic Development Corporation and continues to serve as a board member. 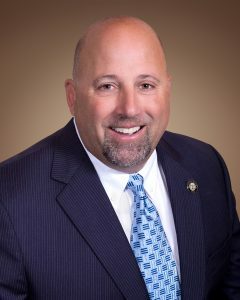 He is currently the Vice President of the Collin College Foundation Board of Directors, and a member of the Meals on Wheels of Collin County Board of Advisors. 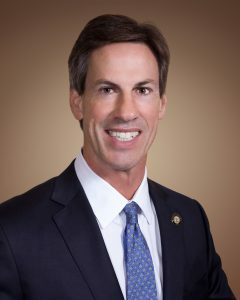 In 2016, he was elected to serve on the North Central Texas Council of Governments (NCTCOG) Executive Board, currently served as the NCTCOG Secretary/Treasurer. He is also an alternate member of the Regional Transportation Council. In 2006, Ray served on the Home Rule Charter Committee, which wrote the charter that dictates how our Town is governed. Ray previously served in the City of Frisco on the City Council, Economic Development Corporation, Community Development Corporation, Planning & Zoning Board and Frisco Education Foundation. A 1981 graduate of Baylor University, Ray was a member of the 1980 Southwest Conference Champion Baylor football team. 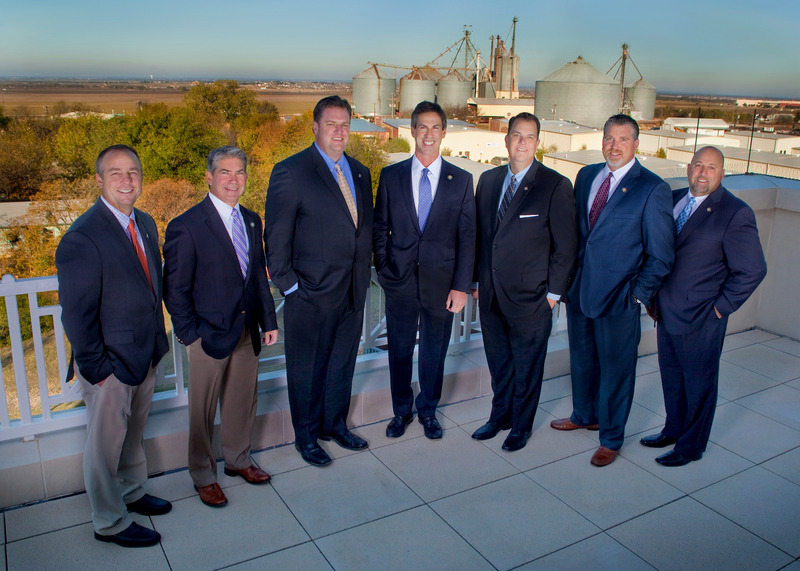 He earned his BBA while at Baylor, and is a Market President with Farmers Bank and Trust. Ray has been married for 28 years to his beautiful wife, Lena. Together they have raised three sons and are currently raising two grandsons. The Smiths moved to Prosper in January 2005. Michael was raised in Richardson, Texas. He graduated from Southeastern Oklahoma State University where he played football on a scholarship. Michael has worked in the security industry since 1989 and is currently employed by F.E. Moran Security Solutions. Michael and his beautiful wife, Cheryl, moved to Prosper in 2008 with their three girls: Heather, Noelle, & Tessa. Since then, Michael has been actively involved in many school and community activities. He presently sits on the Board for the Eagle Touchdown Club, is a Board Member for the Prosper Area Soccer Organization, coaches two soccer teams and a youth football team. Michael has a passion for working with people to achieve their dreams. His personal motto is summed up in Matthew 5:16. 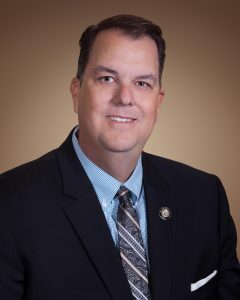 Craig was elected to Prosper Town Council in June of 2018. Prior to that Craig served a term on the Parks & Rec Board as well as a term and a half on the Planning & Zoning Commission before coming off from the Commission to run for Prosper Town Council. Craig has been involved in running Prosper Youth Basketball, and is the co-founder of the Prosper Men’s Turkey Fry serving meals to those in need on Thanksgiving. He also went on five men’s construction mission trips to Peru with his Church’s men’s group. Craig has worked in the Financial Services, Telecom and Mortgage Industries as well as being a founding coach for a local AAU Basketball organization. He also is the current Vice President of the Prosper Youth Sports Commission. He currently works in Real Estate and Land Sales. He is a BS from Texas Tech in International Economics. He has been married to his beautiful wife Chris for more than 25 years and they have three children, Jackson, Grant and Reagan. Craig’s family moved to Prosper in 2010. Curry is a native Texan, born in Wichita Falls and raised in Sherman. The Vogelsangs have been residents of Prosper since 2003. He earned his BBA in Accounting from The University of Texas at Austin and his MBA from the Cox School of Business at Southern Methodist University. Curry is a CPA licensed in the State of Texas. 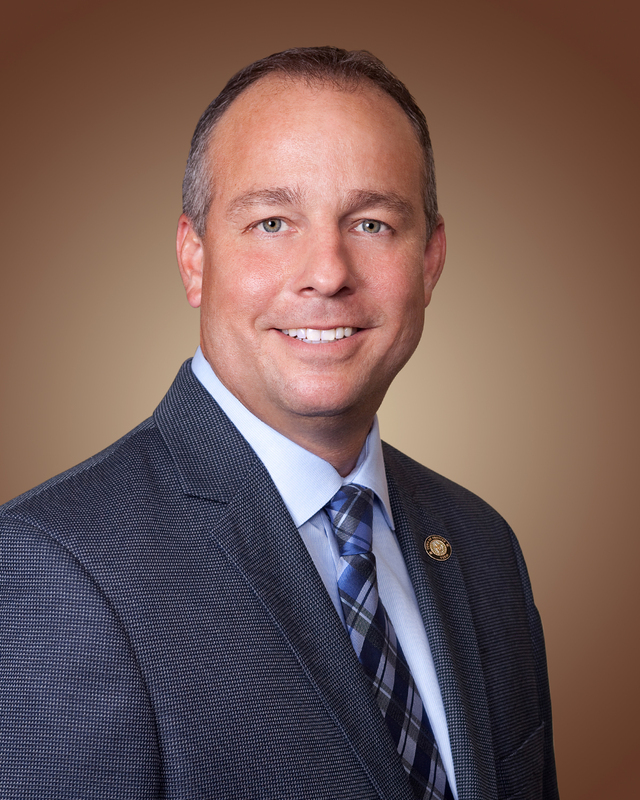 He has had business backgrounds with a large international public accounting firm, a regional health care company, a Fortune 500 company, and is currently Vice President, Chief Financial Officer for Hulcher Services, Inc., an international emergency response company. Curry has been involved in the past with the Boy Scouts of America (and is an Eagle Scout), board member and past president of the American Heart Association and Junior Achievement chapters. He is currently involved in serving at Prestonwood Baptist Church. Curry most enjoys spending time with his wife, Andrea. You will see them at the movies, local restaurants, and local events. They also enjoy going down to Austin regularly to spend time with son, Drew and daughter-in-law Lauren, especially at Longhorn football games. Meigs and his family have lived in Prosper since 2004. He was elected to the Town Council in 2008 and is serving his third term. He has served as past Mayor Pro-Tem and Deputy Mayor Pro-Tem as well as several committees. Meigs attended the University of Kansas and received a BBS from the University of Texas at Dallas. Meigs is currently the Senior Vice President of Sales and Business Development for J.W. Logistics, LLC, in Frisco, Texas. He volunteers on other committees for the school district, Grace Bridge Food Bank, Children’s Hunger Fund, American Heart Association, and others as well as serves as a board member for Sky Ranch Christian Camps. Meigs and his family attend Prestonwood Baptist Church in Prosper. He and his wife, Tori, have two daughters, Kyndall and Sterling. 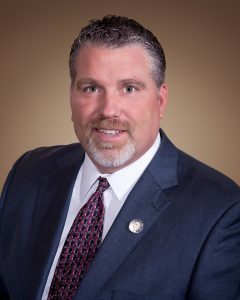 Jeff was elected to the Town Council in May of 2017. Prior to that, he was serving his second term on the Parks and Recreation Board. He has been a resident of Prosper since 2012 and has lived in the Prosper school district since 2001. Jeff has been married for 18 years to his wife, Nicole. He has two daughter, Kelsey (16) and Molly (12). Jeff grew up in El Paso. He graduated from Coronado High School and attended the University of Texas at El Paso. In January of 2000, he moved to the Dallas area to take a job with Andrews Distributing where he has worked for the past 18 1/2 years. Jeff played rugby for the El Paso Scorpions from 1990 to 1999. He was also a baseball umpire calling two seasons at the high school level and four seasons at the little league level. In his spare time, Jeff enjoys spending time with his family and playing basketball and softball in the Prosper Softball League. Jason and his wife, Dena, moved to Prosper fifteen years ago with their four children, Mark, Drew, Jacob, and Emma. During that time, Jason has been involved in numerous projects, boards and organizations. 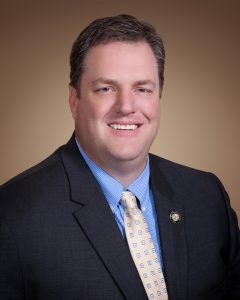 He was on the Prosper Planning and Zoning Commission from 2006 to 2010, where he served as Secretary his last year before being elected to the Town Council. 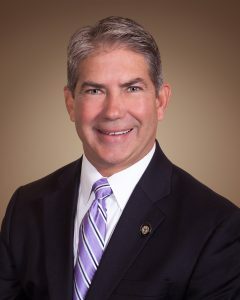 During his tenure on council, Jason has served on multiple Boards and Commissions: PISD Bond Committee, Prosper Open Foundation Board, Visioning Committee, Chaired the Comprehensive Plan Review, Executive Development Team, Prosper Ladies Association, Prosper Lacrosse Board. Outside of Prosper, Jason serves on the board of directors for the SMU Athletic Forum. Jason played baseball in college at the University of Houston and The University of Texas at Arlington. He graduated from UTA in 1995 with a bachelors degree in business. He is currently a Partner at BevCap Management as an insurance consultant. Jason has coached all of his kids’ sports activities throughout the years: football, baseball, lacrosse and basketball. In his spare time, he enjoys playing golf, spending time with family and entertaining friends. Apply for a Library Card? Apply to Have a Garage Sale? File a Code Violation Complaint? Report a Street Light Outage? Reserve Space in the Park? Sign Up for Utility Service? Submit a General Public Information Request? Submit a Police Department Public Information Request? View the Code of Ordinances? Photos contributed by Colby Nate and Bernadette Gerace.